OnePlus has been using different methods to promote its Loop VR headsets in India. First it gave away a few headsets for free on its site and then there was a app only sale on Amazon in which users could get the Loop VR headsets for just Re. 1. More than 30,000 headsets were sold on 2nd and 7th June on Amazon India as part of this promotion. OnePlus has now partnered with popular ride hailing app, Uber to giveaway Loop VR headsets in India. This on-demand OnePlus Loop VR Headset delivery promotion is limited to 8 Indian cities namely, New Delhi, Bangalore, Mumbai, Bhubaneshwar, Pune, Kolkata, Chennai and Chandigarh. Users will be able to hail a ride and get their Loop VR headset on 14th June from 3 PM. OnePlus will also launch the OnePlus 3 on 14th June. Download the Uber app and sign in. Enter the promo Code ONEPLUS3VR in the “Promotions” tab. After entering the promo code, go to the main screen and click on the ‘UberVR’ icon on 14th June from 3 PM. 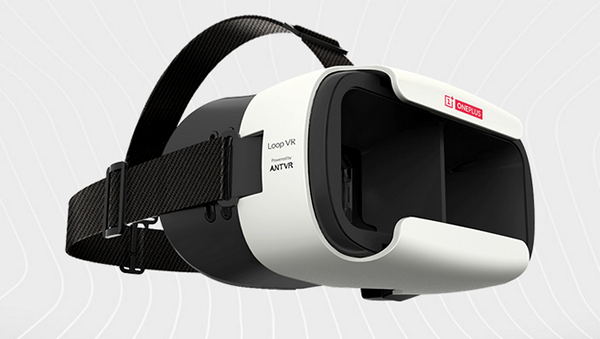 If your request is accepted, an Uber cab will bring you your OnePlus Loop VR headset for free. “Uber is all about the experience, and partnering with OnePlus for this on-demand activity we’re happy to give our riders the opportunity to experience the OnePlus Loop VR Headset” adds Bhavik Rathod, General Manager, South & West, Uber India. Just like other giveaways, lots of people will try to get their hands on the Loop VR headset for free and many users may end up getting disappointed. Open the Uber app and be ready to book the UberVR cab as soon as it comes on the screen to maximize your chances.